I’ve personally been a user on Twitch for almost 5 years. If you’re looking for a community of people who share a common interest, to talk with, and to be yourself in, Twitch has always been (and always will be) my first suggestion. This past weekend I flew out to San Jose, CA to Twitch Con: a gathering of the best people you’ll ever meet, and I never wanted it to end. 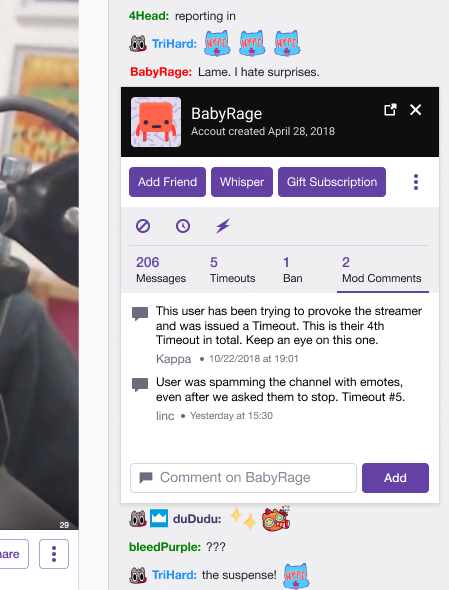 Twitch held a presentation over the weekend and unveiled a handful of new features that you should totally get excited about. One of the coolest is the ability to have a multi-stream with other streamers using the new “Squad Stream” function. Upon entering the chat of any streamer who is part of a Squad Stream, you’ll immediately be able to see every other streamer in split-screen, with the ability to easily cycle through each of them for easy access to their chats and follow/subscribe buttons. There are other new additions coming to your chat specifically, including the new VIP badge. It’s a way to reward some of the most valuable members of your community without forcing them to subscribe or moderate. Speaking of moderation, new tools for moderators have also been added to the chat to easily view additional details of each user, including channel activity, past timeouts and bans, and a notes function where mods can leave notes on a user for other mods to see (even in other channels). As a moderator in a number of channels, I can’t wait for these features to arrive in January. My favorite update is that sub badges now accumulate all months that you’ve been subscribed to a channel, rather than your streak (though you can still display your sub streak)! 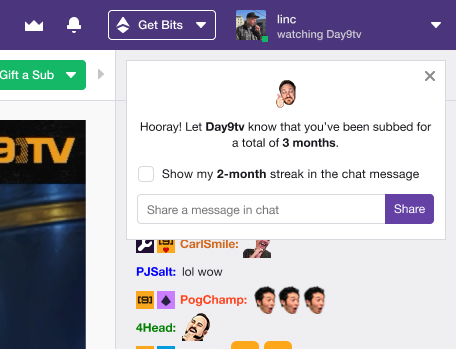 It’s great that Twitch is finally recognizing that even if you don’t have the ability to sub every month, every month of support should be recognized. There was plenty of new stuff, so you can find a full round up on the Twitch Blog. Holy cow, there was so much to do this weekend and so little time to see it all. I tried my best to walk around and see as much as I could between the “hey’s” and “hi’s” to all the people I recognized. 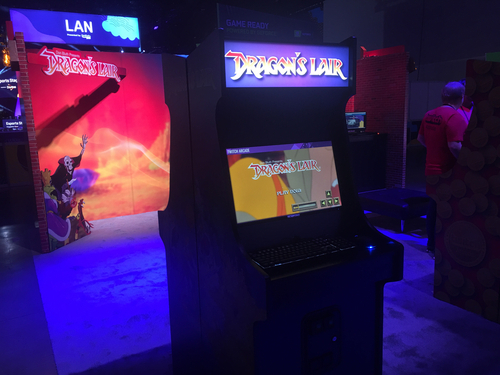 One of my favorite spots on the show floor was the Twitch Arcade, where they had “game cabinets” of Dragon’s Lair! I was… very bad at it, but it was cool to play this classic after such a long time. Artist Ally was another great spot. My friend spent a little too much money there, but it was totally worth it to support such talented artists! Of course, there was the usual: G-Fuel was there again advertising some delicious flavors (cotton candy was great, by the way), Twitch Prime had its own booth where members could get some neat swag, and the Loot Cave was downstairs (where I may or may not have bought some really comfortable Twitch joggers that I’m currently wearing). My favorite addition this year was Bitnado! Basically, you stand inside a little booth and it blows bits all around you (much like those money-catching machines). The number of bits you catch will determine how many bits they give you to cheer for your favorite streamers. I had a pretty great strategy (video courtesy of my Twitch buddy, Purplefire), and I caught 39 bits! I walked away with a whopping 1000 Bits that I am so ready to throw at my friends. 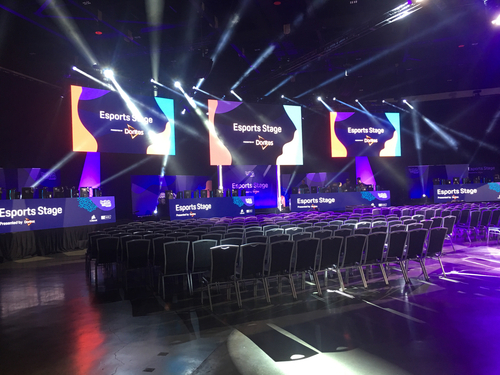 Last (but not least), the Fortnite Hall in the back of the convention center hosted the Fall Skirmish Finals, which I sadly didn’t get to catch. However, they were serving Slurp Juice, which is an item in Fortnite that gives you extra shield! Of course, the party bus made a cameo, as well. Warning: This is the sappy part of the article. I just wanted to share how valuable the time I had with some wonderful people was. This is my third Twitch Con, so it was more like a reunion for some, but I still got to make plenty of new friends and share so many memories! 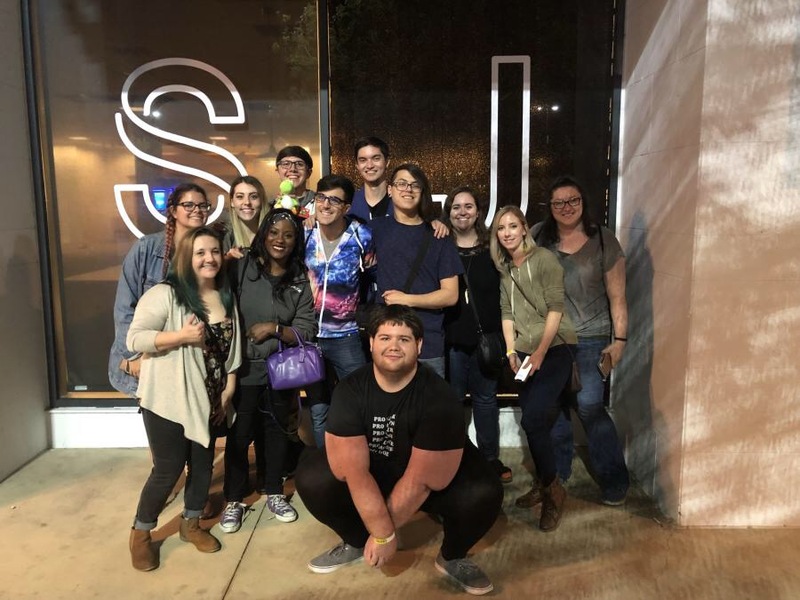 That said, Twitch Con isn’t just a place for streamers to network and learn about the newest updates: it’s a place to hang out with the people you talk to almost every day. No words can express how amazing this community is. That’s me in the galaxy hoodie! I know I stated it before, but Twitch is more than just a streaming service. It’s a community of people who thrive when they come together. Twitch is about unity and sharing what you love with the world, and the world sharing what they love with you. I honestly cannot say where I’d be without some of the people I’ve met through Twitch: I’ve made some life long friends there, and I’m extremely thankful to have met each and every one of them. 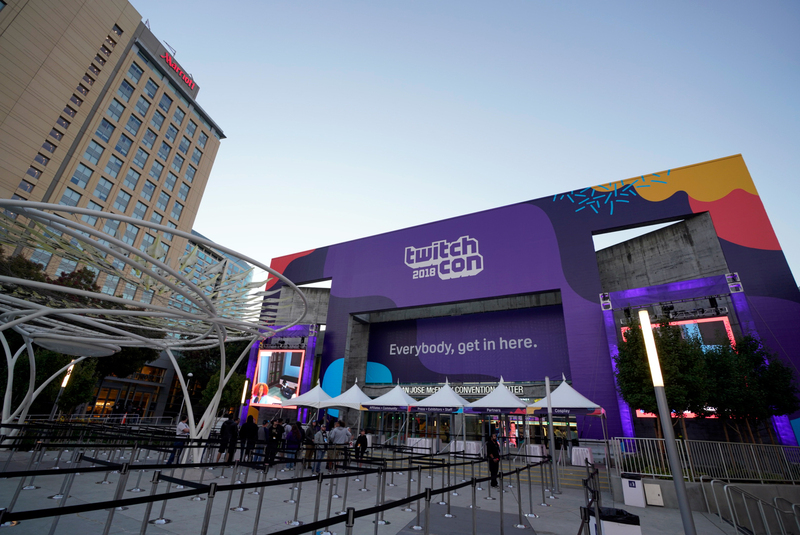 Have you been to Twitch Con? What is your favorite memory you’ve ever had on Twitch? Let us know on Twitter! While you’re at it, follow us on Twitch, as well! We stream every Tuesday. Next article Loot Crate Studios Presents: EDUCRATED! Bioshock Edition! Previous article Looter Love: Marvel Gear & Goods #THWIP Spidey Crate!